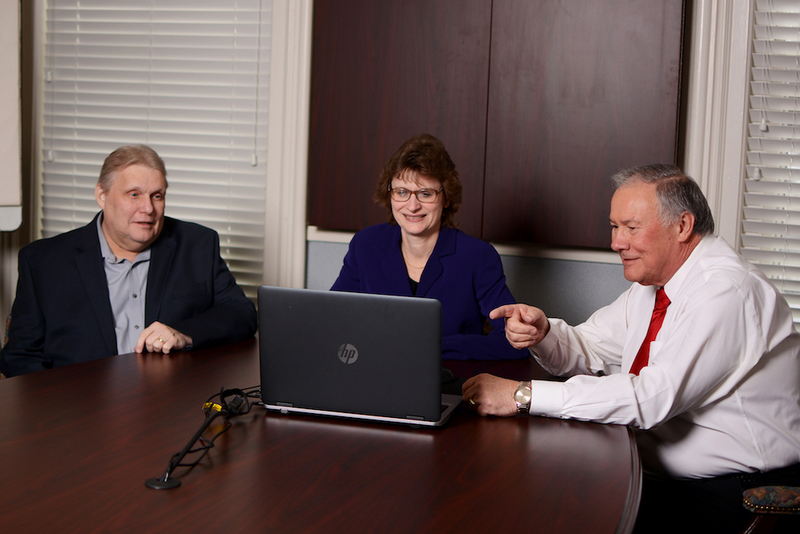 Johnson, Mackowiak & Associates, LLP was founded in 1980 by partners Richard Johnson and David Mackowiak. We originally operated above the former McMachan’s paint store in Dunkirk, before moving to our current location on Route 20 in Fredonia. In those days, there were no computers or software programs to process tax returns. Everything was done by hand. And in fact, during that first year of business, Richard and Dave handled all the work themselves. Always focused on being tech savvy, they also purchased JMA’s first computer — to the tune of $25,000. Back then, bookkeeping, payroll and filing were JMA’s lifeblood. But to enhance our offerings, we made a strategic shift toward providing a broader range of services, including estate and financial planning, government contracts and non-profit work. Since then, we’ve grown substantially to include a roster of approximately 1,500 clients, both locally in Chautauqua and Cattaraugus counties, as well as across the country in states like California, Wyoming, Florida and South Carolina. That $25,000 computer is also long gone and our office is fully automated today, offering a paper-less work environment. A lot has changed in the past three decades. But for us, the core of our firm — and really, the secret to our success — remains in staying true to our values. We are always focused on service and quality for our clients; hiring and developing the best local talent for our firm and giving back to the community in which we work and live. It’s a formula that’s worked — and one we will continue to use today and in the future.